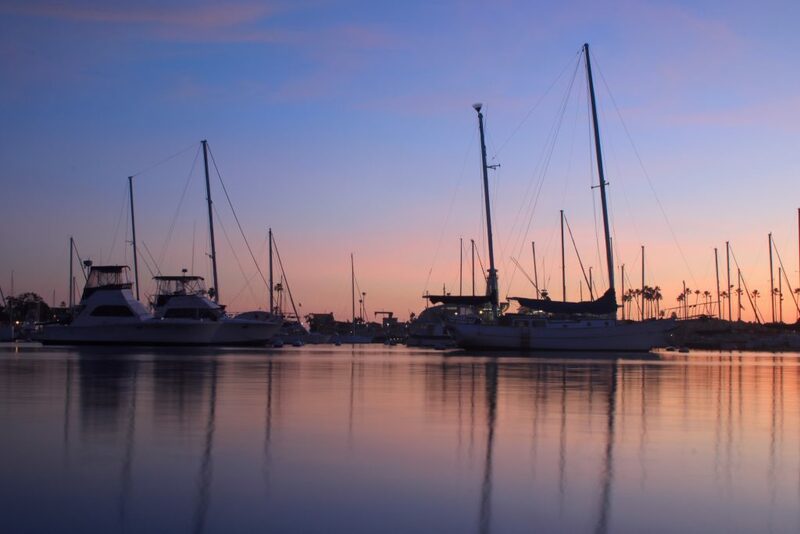 Moorings in Newport Harbor near Lido Isle at sunset. 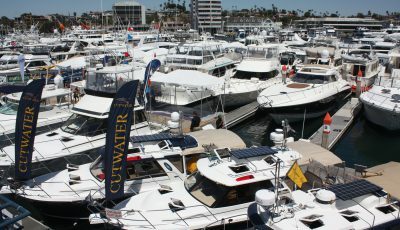 Newport Beach Harbor Commission approved a new fee schedule this week, which, if ultimately approved by City Council, will add approximately $440,000 in revenue for the city. Commissioners unanimously approved the updated fee schedule, 7-0, at their meeting Wednesday. 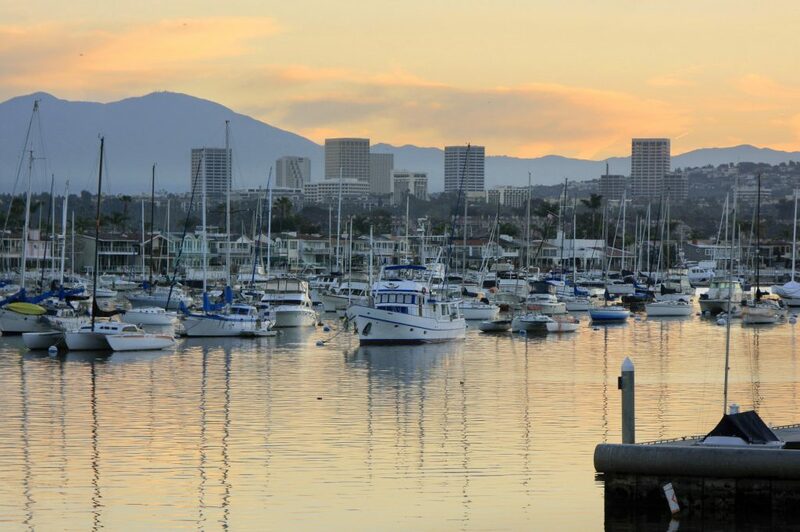 The changes come after the city took over management of the moorings and other harbor services from the Orange County Sheriff’s Department Harbor Patrol last year. Since then, staff has evaluated guest/transient slips at Marina Park and throughout the harbor. An outside company, Netzer and Associates, conducted two studies of rental costs in the harbor, the first in November and the latest in March, and provided appraisal reports. The city’s fee study consultant, MGT, also performed an analysis of fees in the harbor. During the 2016-17 fiscal year, rents and fees for guest moorings brought $179,080 in revenue for the city, and $198,143 the following year. The city budgeted $150,000 for the current 2018-19 fiscal year. If approved by Council, staff anticipates the proposed rents and fees could bring in up to approximately $588,000. With only about a year’s worth of data, the fee schedule represents staff’s best estimate at what the revenue income could be, clarified Assistant City Manager Carol Jacobs. The fees are based off of fair-market value, comparing to a number of similar harbors, and includes the time and effort from staff. Commissioners had several questions and comments, most clarifying the fees and when they would apply. Asked when the inspection fee of $209 for “docks, pilings, code enforcement” would be charged, staff explained that only if there was a problem or issue and the owner had been previously contacted and there was a failure to comply. The same would be true for other fees, like temporary sea lion deterrent fee of $136 would be charged after the vessel owner was noticed and nothing was done. It takes a lot of staff time and effort to work to control and deter the sea lions, Jacobs noted. 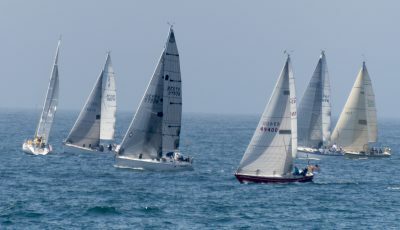 A few other updates to the rent charges and fees: The mooring extension permit, in order to have a longer vessel at a mooring, is set at $326; Charter boat inspection fee of $341, is only if there was a complaint or issue or need for the Harbor Department to inspect a charter boat (this is separate from the application permit fee); Initial impound fee at $68 is less than the previous rate; and raft-up permits for the east anchorage are proposed at $62. Commissioners approved the rents and fee schedule as staff presented it, with a few minor modifications. The line item “lend a mooring line/help to get on a mooring” fee of $32 was deleted after some discussion by commissioners. It doesn’t adhere to the Commission’s mission of promoting the harbor as “welcoming,” said Commissioner Bill Kenney. “To charge someone a fee to get on a mooring just because they need help, to me, is grossly out of line,” Kenney said. Staff explained it was included for the instances where a boater needed a rope or line, borrowed one from harbor staff, and didn’t return it. It seems targeted toward guests, Kenney added, and doesn’t fit what the harbor should be. The Commission ultimately decided to remove the item from the fee schedule. The deletion should not significantly impact the overall revenue estimate, Jacobs noted. Large vessels longer than 80 lineal feet in offshore guest moorings is set at $1.55 per lineal foot. The rate for large vessels in the guest anchorage area not using city tackle is set at $0.47 per lineal foot. Jacobs clarified that, at this time, they still need Coast Guard approval for large boats in the West Anchorage area, near the turning basin. The city has had several trial summers with the anchorage area, which commissioners have called very successful, but the proposal to make it seasonally permanent was shot down by the Coast Guard. It’s still allowed, but on a case by case basis. Rents for Marina Park guest slips also changed with slight increases. Vessels in the 40-foot slips, currently set at $60 per night, are bow proposed at a nightly rate of $80. For boats in the 55-foot slips at Marina Park, currently charged $82.50 a night, are listed in the schedule at $110 per night. The overhang charge for Marina Park boat slips is also proposed to increase from $1.50 per foot to $2 per foot. The rentals for dinghy racks at Marina Park and Balboa Yacht Basin are also proposed for slight increases, from $25 per month to $35. Along with the dinghy rack rental application fee, suggested at $17. Staff anticipates the dinghy racks to bring in an additional approximate $2,000 in revenue annually for the city.